There are many reasons to hang your license. Maybe you need time off for many reasons, or just want to take a break but not lose what you have worked so hard to keep. Now with Royal Pro Real Estate we offer the option to hang your license and keep active while you take the time you need. The term “hanging a real estate license” refers not so much to the physical hanging of the license, but rather the significance it represents in a real estate agent’s career. To hang a license means that you, as a realtor, have decided to associate yourself with a particular real estate agency. You are placing your reputation and business faith in a company for whom you choose to work. Whether a veteran in the field or a first-time real estate agent, selecting a place to hang your real estate license requires a good deal of evaluation and research to feel comfortable with your decision. Setup a meeting to speak with one of the partners of a real estate agency you are considering joining. Every real estate agency has a different approach to sales. Use the meeting as a chance to interview the partner, and ask questions that are important to you. You will not succeed if you are uncomfortable with an agency’s sales tactics. Ask what career and educational benefits the agency offers, which can improve your skills and earning potential. Ask the agency’s partner how they structure their payments and fees. 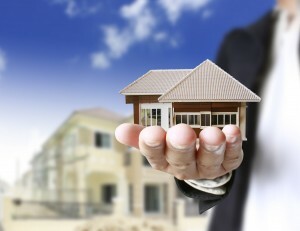 There are two traditional ways of earning payment at a real estate agency. A desk fee is the more lucrative of the two, allowing you to take home 100% of each commission, but requiring that you pay your agency a desk fee to work there. This is the better option if you have enough cash stored away that you can pay your fees even if no sales commissions are coming in. The other option is to earn a partial commission, which pays a portion of each commission to your agency in lieu of a desk fee. Many firms allow you to choose your option, while some only offer one or the other. Ask about the agency’s marketing strategy. One of the most important tools to success in real estate is exposure through marketing. Find out how your agency will market, and whether they will market you as an agent or whether you must market yourself out-of-pocket. Marketing expenses can become expensive quickly, thus an agency that is willing to financially support your marketing is a hidden bonus that can save you thousands of dollars. Compare the responses you receive from your questions and the information that you are able to gather from outside sources, and see how each agency fits in with your professional and personal goals. You want to be proud to be associated with an agency, as your face will be side-by-side with that agency’s logo on every business card, billboard, flyer and online listing. If you are stuck trying to decide between multiple agencies, evaluate yourself, and ask what is most important to you and your family. Sometimes financial gains are not as important as personal gains. If you have aspirations to become an agency partner one day, ask yourself where it is most likely that you can accomplish that goal. Make a final decision on what agency you want to work for. Remember that even though realtors often work alone, deciding where to hang your license is a crucial decision that can have a tremendous effect on your paycheck, earning potential and ability to attract clients. Contact Royal Pro Real Estate to learn more about how to hang your license and other options for real estate agents.